The Samsung Galaxy line is one of the biggest innovators of smartphones that was ever produced in our time. With a new product from the previous mentioned series, the Galaxy S8 is expected to come to fruition on late March – April being the latest. Expect to see an overabundance of different variants of cases, covers, and protectors for the Smartphone stated above. The Galaxy S8 will surely be an expensive phone to purchase, so it is necessary to equip it with a case to make it last a long while. With all that is stated earlier, there are numerous cases being sold online. Different manufacturers have already released their unique designs to compete with other brands for the said phone. Moreover, it is for your own preference to pick from the Top 15 Samsung Galaxy S8 Cases that we have provided. This SPARIN case has an ultra-clear design to preserve the metal aesthetics and color of your phone. It is a state-of-the-art manufacturing to make your phone stylish and protected. Its raised edge cover provides corner protection in case of unexpected mishandling. Furthermore, this is an acrylic based material that features a coating to prevent scratches from appearing. To preserve the ultra-clear design of the case, it is equipped with Anti-UV to delay the case from yellowing to a prolonged use. OMOTON is a leading brand for cases, specifically for shock-absorption cases. It is highly compatible that is easy to equip and remove which perfectly fits the Samsung Galaxy S8. It is composed of TPU Shock Absorbing Edges for unprecedented bumps and drops. In case you carry coins or sharp objects in your pocket, its Hard-Acrylic Back Panel would prevent it from having scratch marks. With its Crystal-Clear case, it will still have a similar ergonomic feeling, and appealing appearance of the Galaxy S8. LK offers a slim design but still provides protection to your phone. It prevents from adding bulk and weight while still having a smooth and fresh feel. The unique design of this phone allows you to access all ports and buttons without the need of having to remove the case. Moreover, you don’t need to worry about it slipping through your fingers. The Anti-Slip feature ensures you to have a firm grasp on your phone all the time. The front-raised edges recess your screen in case of any damages from facing down on a platform. The PEYOU protective case allows you to have easy access to all ports and functions without compromising the quality of it. It also comes with 360 ring grip that enables you to securely hold your phone while in use, and can also be utilized as a stand if you have to watch a video while muti-tasking. Most importantly, the unique engineering of this case is that it has a smooth and rigid hard shell while still allowing to be flexible and shock-absorbing material. 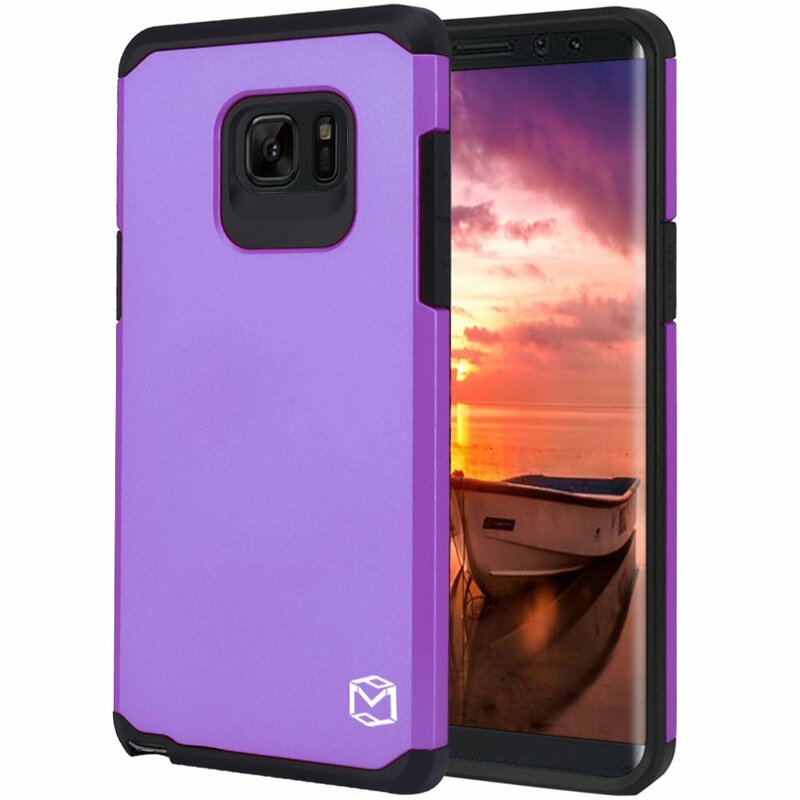 A highly compatible Galaxy S8 case, the LK Gladiator Series features a 4-side protection that covers all corners of the phone, and raised edge to avoid any screen damage from unpredicted drops. It improves the ergonomics by a smooth but non-slip grip, and a scratch resistant material to maintain its aesthetics. The armor casing is composed of hard polycarbonate plate, and a flexible and durable TPU shell. Furthermore, it’s lightweight and smooth., but doesn’t compromise the quality of the product. The BELK Dual Layer case is the best of both worlds the features aesthetics and functionality. It is carefully crafted to be attractive, and at the same time it doesn’t compromise the rigidness of the case. It is a multi-functional case that can store a valuable card, and the cover can be used as a stand for viewing purposes. The reinforced edges absorb any impact before it affects the gadget. The PC panel of this case can be easily attachable and detachable. RINGKE Fusion is one of the trending phone cases in Amazon to-date. It features a clear and transparent case that preserve the S8’s original and fresh look. It is etched to perfection to perfectly fit the phone without any excessive bulk. The inner TPU corner protects the phone from unwanted falls. Its slim and sleek design is equipped Active Technology Design enable ease of access to the phone’s utilities. If you are looking for a case that is fashionable, glamorous, and rigid; the Scottii Luxurii offers all of it. It features a duo-layer technology and Impact cushions made from TPU and Polycarbonate. It is included with tempered Glass Screen protector to prevent minor scratch and cracks to the S8. It has enlarged port access areas to have a comfortable feel. Even with a glittered pattern, you can still have a tight and non-slip grip with their Non-Slip pattern design. With its simplistic design and approach, WULOO offers nothing but functionality and protection. The corners are soft Edge TPU for holistic phone protection. The crystal-clear back panel avoids overshadowing the phones look, and at the same time, it is also an anti-scratch material. Precise port access prevents you from taking off the cover to insert cables or jack. It is smooth but non-slippery texture guarantees you to avoid dropping your phone. As tough and road-tested as it looks, the MicroP Armor Hard offers one of the best protective cases it has ever produced. It has dual-layer design that features a rigid polycarbonate outer layer, and a tightly-fitted TPU inner layer. It has a shock absorbing TPU sleeve that prevents internal damage to the S8. It is slim that doesn’t add any bulk and weight while holding your phone. Made from premium grade polycarbonate and TPU materials, the POETIC Hybrid Case also offers a water resistant protective case. Moreover, it also provides extreme shock absorbing TPU materials that prevents further damages. The ergonomics of this case is anti-slip and dust proof. It is also installed with port flaps to prevent dirt from protruding the phone. Sleek, comfortable, appealing, and modern designed case. The SPIGEN Rugged Armor is not only made for its aesthetic and advanced looks, but also ensures quality protection for your phone. The TPU shell is manufactured to be hassle-free and slip-resistant with the ease of application to the unit. It has a thin profile design for less bulk in your pocket. The MP-Mall’s stylish look features a perfect fit to your S8 with an easy snap installation. The outer shell is composed of a tough polycarbonate, and a shock absorbent interior made out of TPU. While maintaining its rigid features, it still has that stylish and striking look that can match your outfit. Every access ports are precision-cut for ease of use. With its military-esque design, SPIGEN SLIM ARMOR is also equipped with a slip-on card cover at the back of the case itself that can hold up to two valuable cards. It is slim and sleek, and provides shock-absorbing interior and a touch polycarbonate exterior to prevent unwanted damages. It does what it is intended while maintain a simple yet striking appearance. The Thinkart Dual Guard series have impact-resistant dual layer that is made of TPU interior and polycarbonate exterior. Having that said, it is also scratch-resistant while still maintaining a modernist design. It is also equipped with their Lay-on-table design to prevent the screen from getting scratch marks. The port slots are perfectly cut to allow easy access on buttons, jacks, and USB slot. All of the choices above were carefully reviewed to guarantee the protection that your investment needs. All of which were tried and tested by the users, and received high-ratings by them. We also assure you that the extra-money that you spent for your choice won’t be wasted.